What is Net Neutrality? In this article I go through the history of Net Neutrality in America, what sort of issues we see today, and some potential solutions. Net Neutrality is a term that most people today have heard, but how much do you know about it? Should you care? Afterall, it’s not that big of a deal, right? It’s just the internet. As long as you can check your social media accounts and watch your online movies, do you think you’d be satisfied regardless? Net neutrality is not necessarily about the present. The thing to keep in mind here is that companies want to discriminate against certain forms of internet traffic in order to suit their business desires. The goal of net neutrality is to prevent companies from discriminating against different forms of internet traffic in order to maintain a completely neutral platform. Broadband discrimination leads to application discrimination by nature, which leads to reduced innovation. In a neutral net, developers are free to create new and innovative technologies. In a non-neutral net, the interests of developers are directed and distorted by consumers being forced to use particular products and services. At this exact moment it may not effect you at all. The concern is with how influential the internet has become, and how a non-neutral net could shape the future. The internet is used in places that you may or may not even think about. It’s in your cars, your phones, and in modern homes it’s even in your thermostats. The internet is used almost everywhere to accommodate our needs, and if cable companies are allowed to, they will charge you more money to continue using these devices the way you do today. These are the same devices that you’ve always used before simply because you are able to connect it to WiFi. ISP’s have been known to attempt charging more money to remove un-necessary restrictions from their services. For example, Comcast wanted customers to pay more money to use VPN’s (Virtual Private Networks). This sort of action would affect many people who work from home and connect to their company’s intranet. A lot of people use VPN’s for personal reasons as well, and they could either have to cease use or pay more money. The internet is a very important tool today, and it has a lot to do with the fact that when you purchase internet access, you get the entire internet all at once. In a non-neutral internet you will likely pay for particular websites or services rather than the internet itself. This is very much like when you purchase cable, you only get certain channels instead of all channels. The reasons behind the importance of Net Neutrality goes beyond our simple desires. It is a somewhat technical subject, and my goal is to provide enough information in one article to help you form your own educated opinion on the subject. Below this timeline I highlight what I consider to be some of the most important points in net neutrality’s history and go into some greater detail if you do not feel like checking each individual source. Net Neutrality has a history that goes further back than what I present in this article, however, I am going to highlight the main points in U.S. history that have led to today’s circumstances in regards to Net Neutrality. March 14, 2002 - The FCC (Federal Commuications Commission) releases a statement classifying internet services as an “interstate information service” and is subject to FCC jurisdiction. The release states that the FCC’s goal is to promote broadband deployment to result in better prices and availability for American consumers. Tim Wu explains that “Open Access” can inhibit vertical relationships between ISP’s and cable operators which makes it a less desireable path to Net Neutrality than his preferred method of directly scrutinizing and eliminating broadband descrimination. March 5, 2005 - The FCC fines Madison River Communications for blocking VoIP (Voice Over IP) services in order to prevent competition against their own VoIP services. The statement they released demands compliance. The Court’s decision today in the Brand X case raises the question of whether Congress, in tackling its next revision of the Telecommunications Act, should act to ensure that communications, content, and applications are allowed to pass freely over the Internet’s broadband pipes. We believe Congress should do so, because ‘net neutrality’ is a worthy goal that not only will promote free speech and creativity on the Internet, but also will benefit those who provide broadband connectivity by making that connectivity more valuable. September 23, 2005 - The FCC decides to officially deregulate DSL, classifying it as an information service. September 2007 - August 2008 - Comcast accused of “the most drastic example yet of data discrimination by a U.S. Internet service provider”, by tampering with Bittorrent traffic. (Peter Svensson, Washington Post). The most likely reason of Comcast doing this was to free up network resources for their other customers. This was a clear case of internet traffic discrimination. Comcast denied claims of “bittorrent blocking” and referred to it as “delaying”, however the FCC later stepped in and orders Comcast to stop discriminating against Bittorrent traffic. October 22, 2009 - FCC begins net neutrality proceeding. 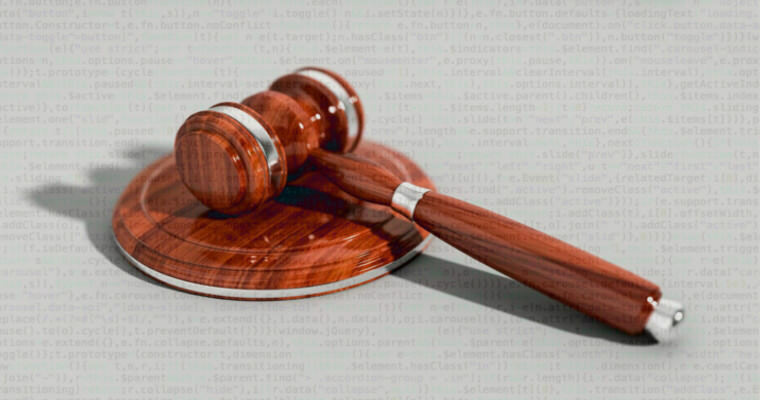 The FCC voted to instantiate a process for creating rules and regulations to keep ISPs from discriminating against internet traffic. April 6, 2010 - DC Circuit rules in favor of Comcast on the order of the FCC’s authority. September 2012 - January 2013 AT&T blocks FaceTime for users who do not pay for a “Mobile Share” plan. Companies began to threaten to file complaints to the FCC, and AT&T eventually conceded and stopped blocking FaceTime calls. January 14, 2014 - DC Circuit overturns FCC’s Open Internet Order. The FCCs authority is reaffirmed, however, DC Circuit expresses that they do not want the internet to be classified as an information service. May 13, 2014 - The FCC releases a new propsal, proposing slow and fast lanes, or a “two-tiered” internet. June 1, 2014 - John Oliver of Last Week Tonight encourages people to go to the FCC’s website and leave comments in hopes of bringing in so much traffic that it crashes their website. The stunt was successful and the FCC website crashed. September 14, 2014 - Internet Slowdown Day. The goal was to raise awareness of net neutrality by filling the internet with loading icons for a single day. January 16, 2015 - Republicans Introduce Net Neutralty Bill. People expressed concerns that it, “Allows discrimination in violation of the principles of the Open Internet”. February 25, 2015 - FCC Passes Title II Net Neutrality Rules. This was considered a huge landmark for net neutrality supporters. June 14, 2016 - D.C. Circuit Affirms Open Internet Order. This rule affirms that companies are not allowed to block or throttle consumers’ wired or wireless internet services. April 26, 2017 - New FCC Chairman Pai Announces Plan to Roll Back Net Neutrality Rules. The new FCC chairman announces his intent to roll back the Open Internet Order. This is a huge step back for net neutrality supporters. May 18, 2017 - The FCC votes to to begin rollback of Net Neutrality Rules. On December 14, 2017 the FCC will vote on whether or not to repeal the Net Neutrality rules. It is currently expected to be repealed. Is a non-neutral net really that bad? Let’s dig in to what a non neutral internet looks like in other countrires, and what a non-neutral net may look like in America. From this you will be able to form your own opinion. 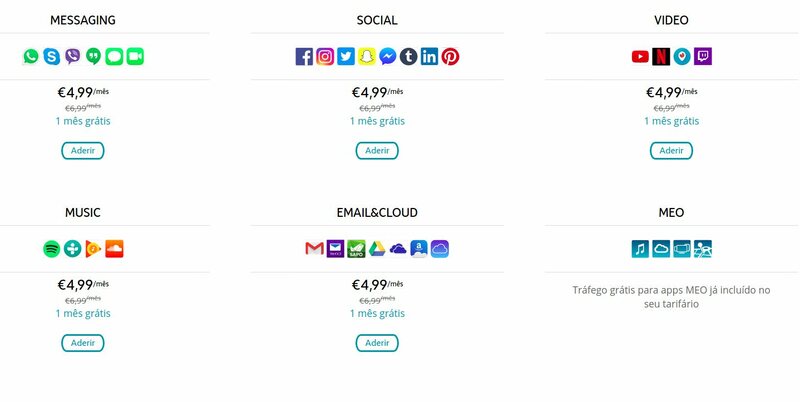 Recently an image went viral of a Portugese cell phone data plan which appears to offer different packages that allow you to use your data for different types of applications. If we assume what we see on the surface, this is definitely a clear example of what Americans are fearing today by losing Net Neutrality. Screenshot of Meo Internet Packages. A Portugese Mobile Communications Provider. This news article attempts to debunk this image. If you watch the video, the reporter explains that the cheapest plan is a 1GB data plan. If you want more data you can purchase the 10GB plan which offers more data for certain types of applicaitions. You can also purchase a 30GB plan, where you can use your data for any website or app. This video does not debunk the image in any way. It appears to me as though he literally explains that this set of packages is a clear example of what America is currently fearing. High traffic telecommuting while utilizing a VPN can adversely affect the condition of the network while disrupting the connection of our regular residential subscribers. To accommodate the needs of our customers who do choose to operate VPN, Comcast offers the Comcast @Home Professional product. @Home Pro is designed to meet the needs of the ever growing population of small office/home office customers and telecommuters that need to take advantage of protocols such as VPN. This product will cost $95 per month, and afford you with standards which differ from the standard residential product. Madison River Communications, a North Carolina based ISP, restricted access to VoIP services in order to force their users to use Madison River Communication’s VoIP services. This is a clear example of an attempt at monopolization. They attempted to make more money by restricting their customers, forcing them to use their VoIP services. In late 2007, Comcast began tampering with their customers’ Bittorrent traffic, by slowing it down and throttling it. The reason for them doing this was their claim that P2P file sharing is a form of server use, which is untrue. In 2012, AT&T was caught blocking FaceTime calls unless customers upgraded to their “Mobile Share” package. This again seems like a fair thing for a business to do, however, they are attempting to profit by offering the same services with less restrictions, for more money. These are only a few of many examples of how in the past, companies attempted to charge customers more money. Net Neutrality rules and regulations are why they were not able to get away with this in the past. Another argument of why Net neutrality regulations are desireable, has to do with competition between web and app developers. Currently the state of competition for web and app development is very much similar to Darwin’s Theory of Evolution. Survival of the fittest. The Internet, as a neutral platform, allows developers to have the freedom to be innovatve with very little sway. Startups form in the blink of an eye, and they have equal opportunity to reach users giving them equal chances of success. This has given rise to the revolution of today’s Silicon Valley. The fear is that if ISP’s and cable companies begin charging customers more money for different internet packages, startups will be less likely to succeed due to having to cut deals with ISP’s and perhaps reaching far less potential users than on a fully neutral net. When you connect to the internet, you most likely expect to be able to go to whatever website you feel like. This may not be the case if you are restricted to what websites and apps you are able to access through your ISP’s plan. What sort of solutions are there to these issues? Well we have a solution, and it is called the Open Internet Order. This is a set of regulations that secure Net Neutrality. The FCC’s newest goal is to undo this order. Ajit Pai believes that it is in the best interest of America to take the government and regulations out of the internet and give the power to engineers. I will not go into very much detail about why this is more than likely very untrue, as Tm Wu did a fantastic job of explaining this in his paper. I would simply like to provide a TL;DR based on what has been presented in this article. It is better you read it in it’s entirety to form your own opinion. Net Neutrality is a desired outcome for maximum innovation, and for consumer happiness in the long run. It secures the internet as a neutral platform for developers to create new and innovative software, hardware, and form new startups without market distortion. ISP’s and cable providers have been known to try to bypass net neutrality rules for profit many times in the past, proving that these companies will discriminate against forms of applications, and internet traffic without these rules in place. Customers will likely be charged more money, be restricted in certain ways, and/or be forced to used particular products and services without the Open Internet Order and other regulations.